Located at Mile Marker 50 in Marathon. Owner Joe DeConda opened the restaurant, with his partners Boyd, and Pete in January of 1980. DeConda has spent 40 years in the Keys, and has never left for a storm. “People need to eat,” he said, “and I want to be here to help start the cleanup process.”"
"Had the cracked conch sandwich! It was the best! 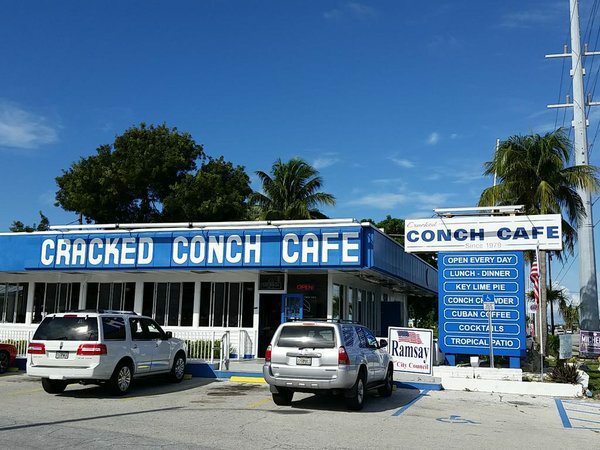 If you are headed to the keys, be sure to stop at the Cracked Conch Cafe. A friendly staff, Mile marker 50. You won't be disappointed"